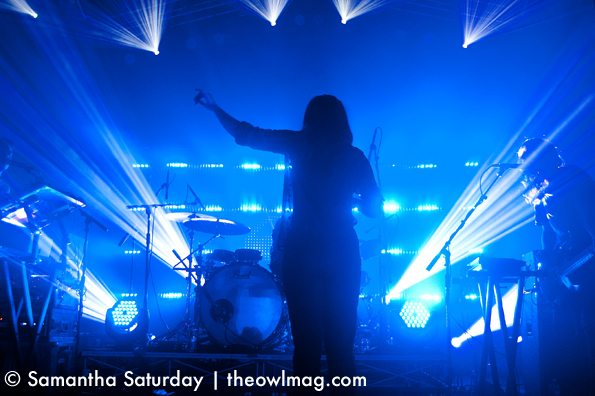 The Naked and Famous have been touring North America for a while now, and they kicked off the final leg of their tour Tuesday night at the Observatory in Santa Ana. 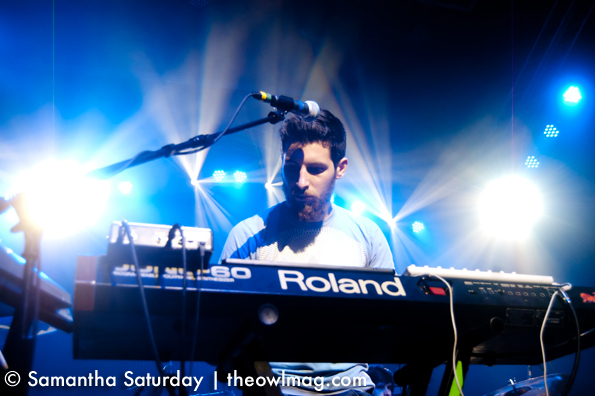 This time out, they’re being supported by two American bands, Vacationer and Now Now. 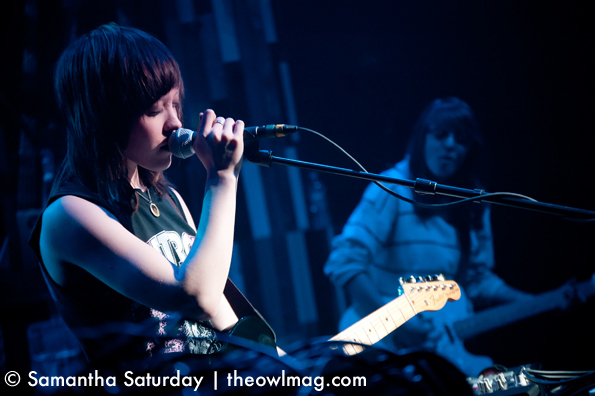 Now Now is a 3-piece act consisting of a drummer, a bass player, and a lead singer/guitarist/keyboardist. 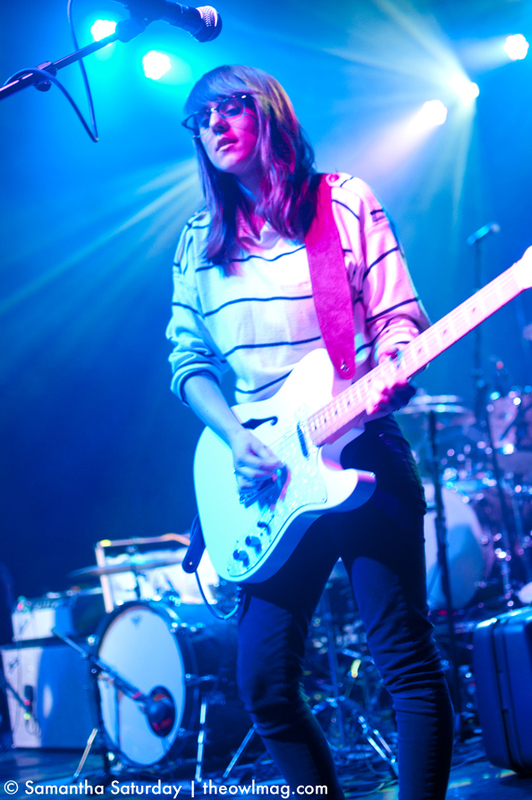 They had some really good alt-pop songs, but they seemed so uncomfortable on stage that it was distracting. The lead singer really looked like she wanted to hide behind something. Hopefully this was just a case of opening-night nerves because their music has great potential. 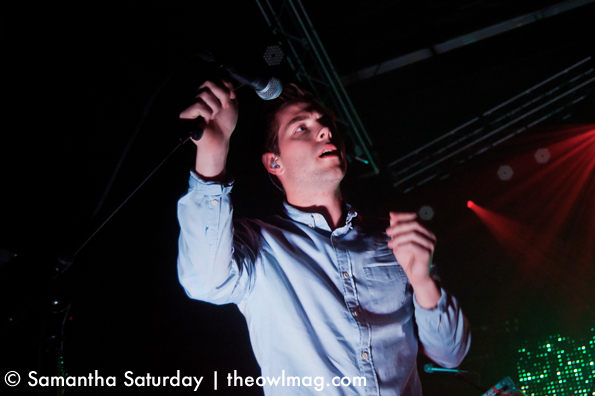 In contrast, Vacationer hit the stage next – almost literally! The lead singer came out and immediately jumped on to a riser and got the crowd going right off. Their music is very bouncy and catchy pop-rock with great vocal harmonies and it was clear that they love performing, which was great to see. 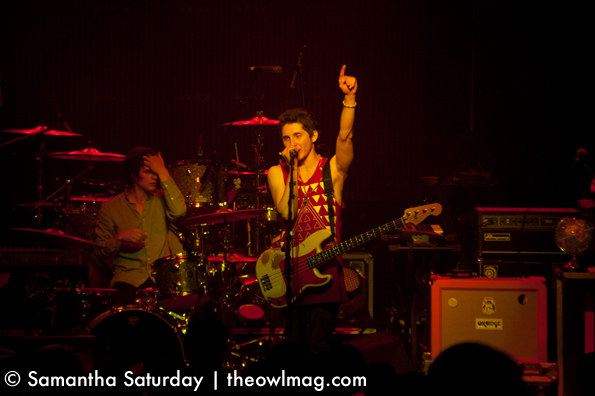 Their debut album, Gone, actually came out on Tuesday, so they were no doubt even more excited because of that. They were the epitome of fun! Then it was time for The Naked and Famous, but just as their opening began, the sound went off. The crowd thought they were being teased, but the band told everyone a bit later that they’d blown out the PA before they’d even begun. It’s hard to complain about that kind of a beginning! They did finally start with the title track of their current album, “Passive Me, Aggressive You,” and then moved on to their latest single, “Punching in a Dream,” which had the crowd singing along. 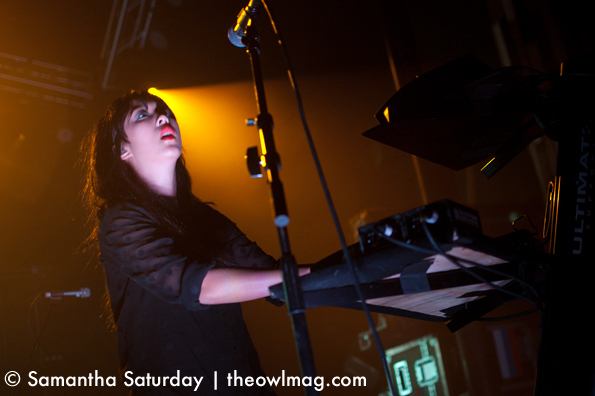 Singer Alisa Xayalith was a whirlwind — singing, playing keys, and dancing. Thom Powers, who plays guitar and shares the singing duties, is more reserved, but they work well together onstage as well as vocally. Both are very impressive live with their vocals, especially Alisa when she nearly screams the higher notes. They played a few songs off their earlier EPs, but the highlight was the encore when they did “Young Blood” and the entire place just lit up – everyone was dancing and singing along for nearly four beautiful minutes. 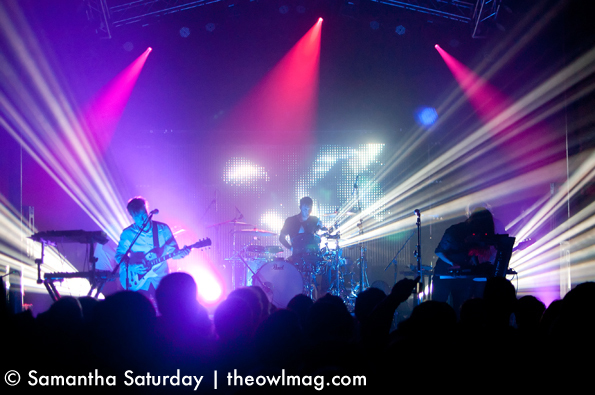 Those are the experiences that bring fans back time and again, and no doubt everyone will be excited to see The Naked and Famous when they once again grace our shores. For more pictures check out the entire Flickr set!